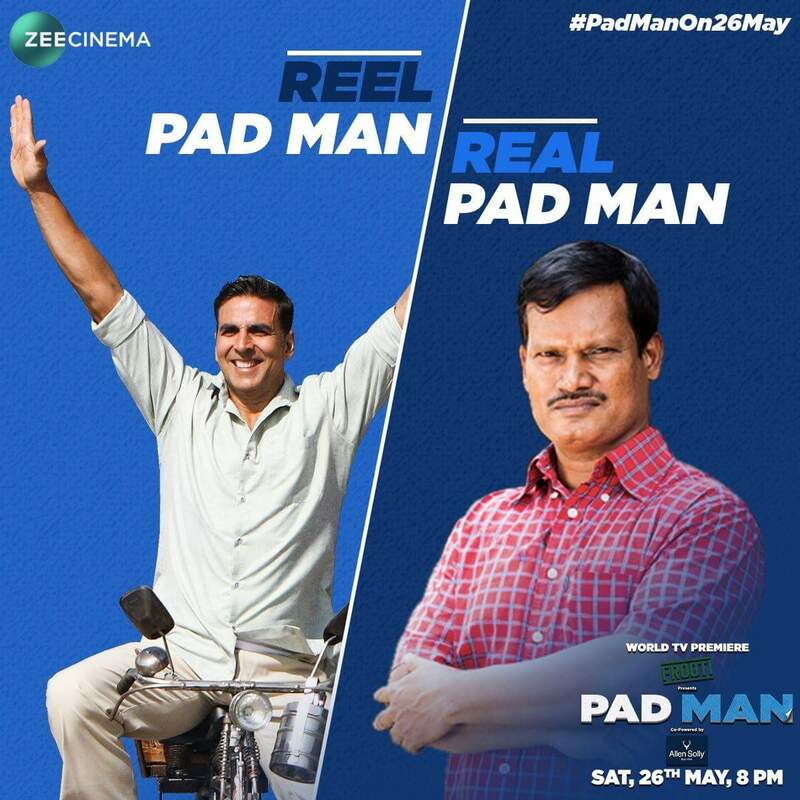 Hindi Movie channel Zee Cinema is all set to premiere Akshay Kumar-starrer family entertainer Pad Man on 26 May at 8 pm. Helmed by the celebrated director R Balki, Pad Man is a biographical drama based on the inspiring life of the social entrepreneur Arunachalam Muruganantham, and features Akshay Kumar, Radhika Apte and Sonam Kapoor in the lead. Pad Man follows the life of Laxmikant Chauhan (Akshay Kumar) and Gayatri (Radhika Apte), a happy go lucky couple. Laxmikant is deeply in love with his wife and will do anything for her comfort and happiness. Laxmikant is outraged that Gayatri uses a dirty cloth and is confined to a corner of the house for the duration of her menstrual cycle. His growing obsession with sanitation and experiments to create an affordable alternative horrify Gayatri and his extended family. Laxmikant’s war might be waged in the name of his tradition-bound and submissive wife, but it is another woman who nudges him towards success. Business school graduate Pari (Sonam Kapoor) enters Laxmikant’s life and helps him with sales and marketing to revolutionise female sanitation not only in India but globally.